After UNESCO has added the căluș ritual to the list of immaterial masterpieces of the world, we feel forced to be even more responsible when it comes to organizing events which advertise and glorify this ancestral dance. 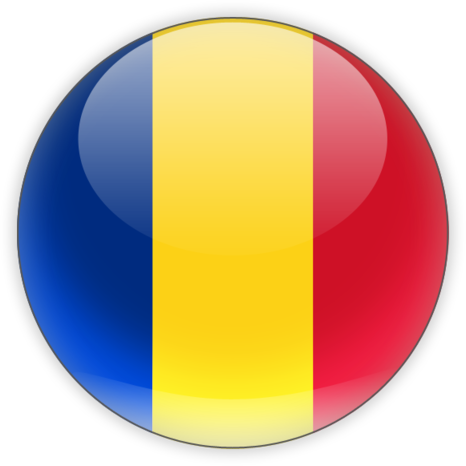 The beginnings of the festival are to be found in 1969, in Slatina, by the name Festival – intercounty competition “The Căluș of Romania”, and it continued every year, ever since 1978, during the Rusalii week, in Caracal. During all these years, there have been more than 1500 groups of călușari, călușeri and căiuți, these folklore groups gathering almost 36000 dancers. There is a călușăresc symposium during the festival whose main objective is to get support from specialists to clarify the origins and mysteries of the most amazing and exciting Romanian dance, a dance which is unique due to its variety of moves, which is unmistakably marked by our genius, while this symposium is especially trying to advertise and glorify the căluș ritual. Every year, the festival organizes the parade of the folk călușăresc garment of the participating groups, a parade which always represents an enthused brimming of rhythms and colours, of various dance moves, of shoutings and rapid spurs, this parade being a true ethno- folk recital, where the hore and sârbe of the Olt region challenge the beauty of the light dance steps of Muntenia, the graceful jump of the dances in Transylvania and the tramping dances of Moldavia. 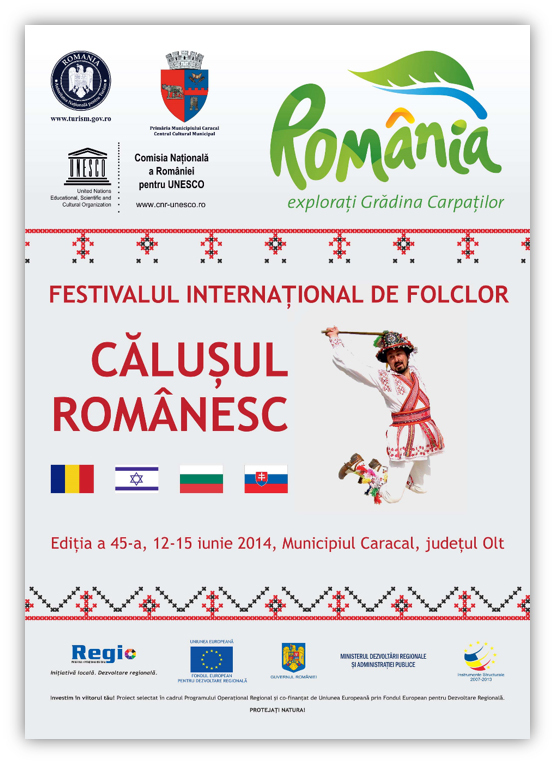 Every summer, during the Rusalii week, dancers from all over the country gather in the Romanați Plain, in Caracal, which is the hottest place of the Romanian căluș, these dancers being călușarii of Oltenia and Muntenia, călușerii of Banat and Transylvania, căiuții of Moldavia, these famous folk groups from Romania and from abroad being all unified by the same voice of custom brotherhood.